Lavish, decadent, and seductive, The Great Gatsby as a film is, at least at first, as irresistible to the eye and to the senses. It’s also strikingly uneven. Lavish, decadent, and seductive, The Great Gatsby as a film is, at least at first, as irresistible to the eye and to the senses as the character Gatsby and his world are to the story’s narrator, Nick Carraway. It’s exactly what the trailers promise it to be and what any fan of director Baz Luhrmann’s previous films — Romeo + Juliet, Moulin Rouge, and Australia — would expect. It’s also strikingly uneven. 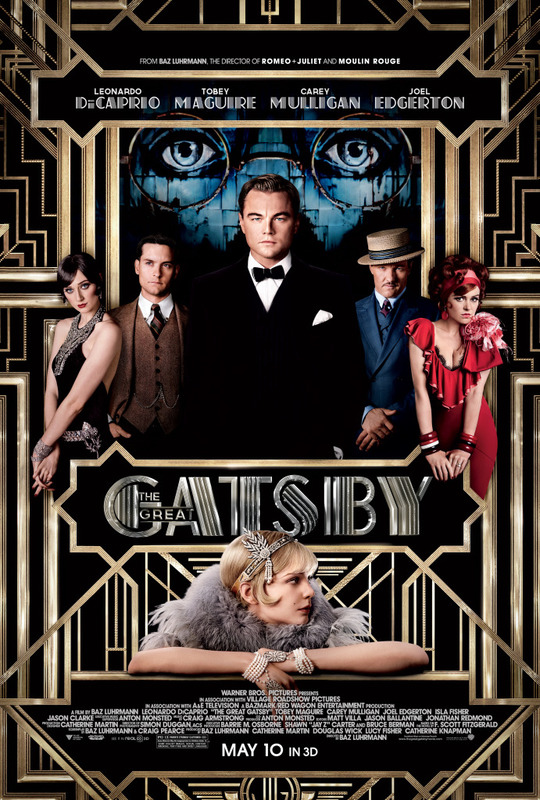 Its first half pulses with energy fueled by Luhrmann’s trademark visual flair and the Jazz Age’s contemporary musical analogue, hip-hop, while its second half moves in fits and stutters, eventually slowing to a listless, anticlimactic crawl to the finish, leaving this yet another well-meaning but flawed cinematic effort at adapting F. Scott Fitzgerald’s classic novel. If you’ve read the novel at any point in your life, you know the story. World War I veteran and Yale grad Nick Carraway (Tobey Maguire) leaves behind his memories of the war and his home in the Midwest for New York City and the promise of wealth in the bond market. He takes up residence in an old, forgotten cottage in the Long Island village of West Egg, next door to the outrageously grand estate of the mysterious and reclusive Jay Gatsby (Leonardo DiCaprio), while also re-kindling his friendship with his second cousin Daisy (Carey Mulligan) and her husband, Tom Buchanan (Joel Edgerton), who live across the bay in East Egg, home of Long Island’s old money elite. Soon Nick finds himself drawn into the intrigues of West and East Egg, into the Buchanan’s marital troubles, Tom’s affair with Myrtle Wilson, and most importantly into the world of Gatsby, who beyond all his extravagant wealth, behind his well-practiced mannerisms and expressions befitting ‘an Oxford man’, is fueled by the hope that by sheer force of will he can recreate the past and take back the love he was forced to part with by the War, the love of his life, Daisy. It’s a timeless story of love, dreams, and obsession leading to tragedy and loss, set within a time and place in America where wealth was abundant and seemed to corrupt almost all that it touched, and that’s all here in Luhrmann’s film. It doesn’t all work, but it is all here. Fans of the novel might be surprised at just how much of Fitzgerald’s actual text makes it into the film. In fact, part of the reason the film loses dramatic steam and peters out by the end is the overuse of Maguire narrating over montages as both Carraway AND Fitzgerald. The last 30 minutes might even be mistaken for Maguire reading an audiobook version of the novel, rather than actually playing a role in a film. Fitzgerald’s prose loses none of its power, but the events depicted in that prose might have benefited more from being fleshed out into full scenes, rather than receiving the montage treatment. As usual, DiCaprio delivers a memorable portrayal of Gatsby, one with far more emotional highs and lows, more visually distinct idiosyncrasies and complexity than that of Robert Redford in the 1974 film adaptation of Gatsby. In particular, DiCaprio works hard to bring out Gatsby’s desperate need for artifice while still keeping him relatable and sympathetic. He’s a dreamer, a boy playing at being a Master of the Universe, and he gets away with it as long as he keeps himself concealed by the stuff of dreams and apart from the close gaze of real people. The other real standout cast member here is Edgerton, playing the boorish, elitist Tom Buchanan as Gatsby’s opposite in every meaningful way. He’s not a full-on mustache-twisting heavy here, but he represents all that Fitzgerald perceived as wrong-minded about those possessed of “old money”, the prejudices, the arrogance, the virulent distaste for the nouveau riche who would dare pretend to be their equals just because they’ve made money. Add to that Edgerton’s physical presence and suddenly he’s the rich, privileged jock you hated with all your guts back in prep school, the one who could stuff you in a locker with 20 other students looking on and then have his parents buy him out of the suspension. Yes, you’ll hate him that much. All in all, it’s not terrible in the least. It’s even quite brilliant in parts, particularly with the large scale flapper musical numbers and the occasional funny juxtapositions of modern day hip-hop for jazz in some of the more extravagant displays of wealth throughout the film. It’s perhaps the best one could ever hope for in terms of adaptation of this particular story. But it’s not good enough to stand in the same league with Luhrmann’s other masterful works of theater and staging. 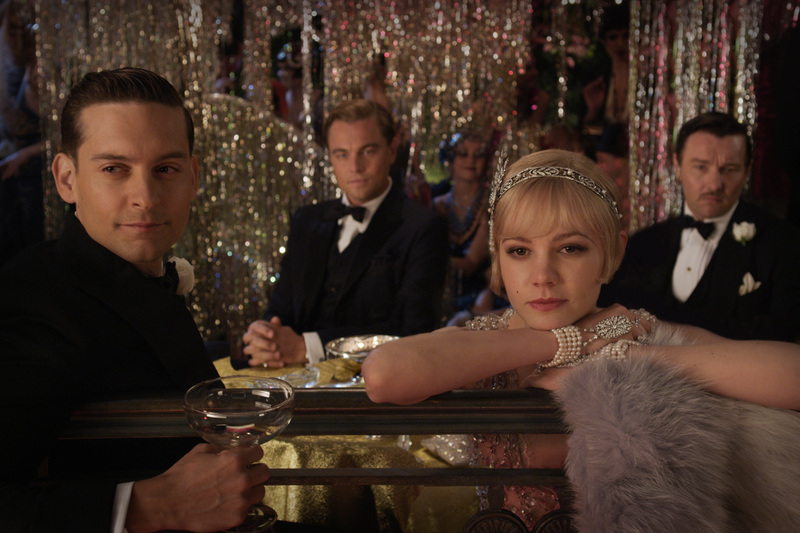 In comparison, The Great Gatsby is simply playing at greatness. Starring Leonardo DiCaprio, Tobey Maguire, Carey Mulligan, Joel Edgerton, Isla Fisher, Jason Clarke. Directed by Baz Luhrmann.